I recently became a Certified Chair Exercise Specialist for Mobility-Challenged Clients. This means I can also work with seniors or those who find standing difficult, persons who have low endurance and post-surgical clients as well. 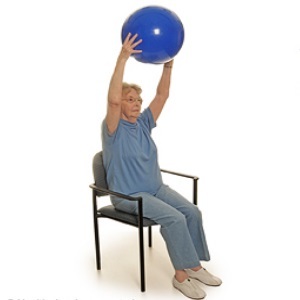 I train clients on a chair with a high back or for clients who have more strength and stability, we use an exercise ball. We also use a variety of inexpensive accessories such as stretch bands, small balls, light dumbbells and our own body weight can be challenging too. 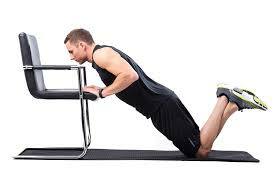 I believe that exercise is for everyone, no matter what their fitness capacity is and we can all get physically stronger even from a seated position. Our only limitations are those we set up in our minds.